Auckland has a wilderness and it wants you to explore it! With a region encompassing as much as 5600km2, Auckland is one of the largest cities in the world in terms of land mass. All together, Auckland has 13 suburbs divided between five districts surrounding Auckland Central. Each district has something to offer backpackers, usually for those looking to escape the city for a while. 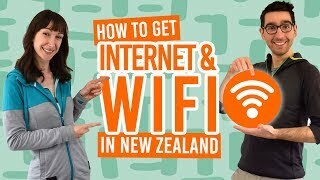 So take a look at this Auckland suburbs guide for backpackers for ideas on what to do in Auckland. Beaches and wilderness can be found when venturing to Waitakere, Rodney, Franklin and North Shore, while outer city shopping and entertainment are the main attractions of Manukau. Just read our backpacker guide to see why there are many reasons to explore the suburbs of Auckland. Explore the inner suburbs. Whether it is climbing a volcanic cone in Mt Eden or One Tree Hill, or enter the wider shopping options of Newmarket, Ponsonby and Kingsland. Hike, bike and take photos in the beautiful Hunua Ranges, Franklin. Get your wildlife fix by seeing a gannet colony and colourful fish along the coast of Rodney. Walk from waterfall to waterfall in the Waitakere Ranges, before emerging on epic surf beaches. A quick escape from the city brings you to beautiful beaches in North Shore. Like all cities, the inner city suburbs are the closest to the Central Business District (CBD), so a walk, drive or a quick bus ride will have you there in no time. There are a few suburbs worth knowing about. What attracts most backpackers here is Mt Eden itself. It is the highest natural vantage point of the city giving you awesome views of the Auckland skyline and surrounding suburbs. Newmarket is a shopping and dining option an easy walk from the Auckland Domain. Many backpackers are hired in the suburb’s cafes, shops and restaurants who want to stay in Auckland. Quality dining, bars and shops can be found in Ponsonby. Check out more about this suburb in Auckland Central – Guide for Backpackers. Apart from the Auckland Domain full of walks and luscious greenery, there’s heaps of history to be seen in the Auckland Museum. More of your upmarket shopping and dining can also be found in Parnell. Plus, you can stroll through Parnell Rose Gardens. Catch a rugby or cricket match at Eden Park Stadium. Again, Kingsland is another suburb enticing you with bars, restaurants and posh shops. During the weekend, spend an evening at the Kingslander pub for live bands and meeting open minded locals. The hill with no tree is a connected to the beautiful Cornwall Park, which has so many trees that it has a Tree Trail. This huge area is ideal for walking in, plus you’ll be greeted with more city views from the top of One Tree Hill. Home to animals, birds and fish. 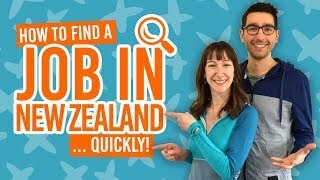 See a real life kiwi bird at Auckland Zoo or man-made flying birds, aeroplanes to you and me, at the MOTAT Museum, a.k.a. Museum of Transport and Technology. Then take a walk across the bridge in the Western Springs park to see eels squirming about in the water beneath you. The most southern district of Auckland runs into rolling green hills and holds the mouth of New Zealand’s longest river, the Waikato River. The Hunua Ranges can also be found in Franklin. Ernies Track – This 4 hour hike starts at Waterline Road and descends into forest to reach Mangatawhiri Dam. Follow the swamplands beside the Mangatawhiri River. Then follow the steep track past an old mine. Mangatangi Ridge Track – Climb to the highest point in the ranges, Mt Kohukohunui. Start the 6 hour hike from Rate Ridge Track. Pukapuka Track – This track is an easier walk than the 2 walks mentioned above. Start at Mangatangi Hill Road and take the 4 hour walk bush and grasslands. Reach the Pukapuka Summit. Lower Mangatawhiri – Staying close to the park boundary, this easy walk starts at Moumoukai Road. It follows forest and farmland. Of course, if you don’t fancy walking your legs off, there are some shorter tracks, such as the Suspension Bridge Track, Lilburne Road Track, Rata Ridge and Wairoa Loop Track. Popular biking tracks are Mangatawhiri Challenge Track – obviously a challenge, Valley Loop Track – and easy ride, and the Moumourkai Farm Track – a medium grade detour off the Valley Loop Track. Another point of interest in Franklin is the Manukau Heads Lighthouse. Get beautiful views from the lighthouse itself, as it is one of the rare visitor-accessible lighthouses in New Zealand. You may even spot the rare maui dolphins. Holding the northernmost suburbs, Rodney is mainly farmland. That is why Rodney, in particular Helensville, is a good destination for WWOOFing. However, along the coast is an adventure playground! Watersports, birdlife and marine life can all be enjoyed in Rodney. There are an abundance of regional parks in Rodney, including the Shakespear Regional Park on the Whangaparaoa Peninsula. The park makes a good lookout over the Hauraki Gulf and is full of birdlife and walking tracks. For more birdlife encounters, visit the gannet colony at Otakamiro Point, Muriwai. The viewing platform allows you to feast your eyes on rock formations dotted with nesting gannets. Sunny days beg you to head to one of Rodney’s white sand beaches, such as Pakiri Beach. The 14km stretch of beach is perfect for long walks, horse riding, swimming, surfing or just topping up the tan – weather permitted, of course. Another water sports playground is Orewa Beach. Surf, kite surf, windsurf, kayak and swim! On dry land, catch an amazing sunrise with an early morning stroll on the beach or take the Millennium Walkway. The walkway starts from Orewa Bridge at the southern end. It is a loop walk taking boardwalks around a lake and into the forest, then onto the beach. Along the way you’ll see the locals jogging and cycling. New Zealand’s most accessible marine reserve is at Goat Island. The crystal clear waters make it easy to spot the colourful fish. You can either choose from the dive activity providers to take you to the best spots, see the fish from a glass bottom boat, or take your snorkel and simply go for a dip! Check out 5 Fun Things to Do at Goat Island Marine Reserve for more inspiration. For more great snorkelling beaches, see 5 Best Beaches for Snorkelling in Auckland. After a hard day of being a badass backpacker, relax in the Waiwera Thermal Pools where you can also watch a movie from the movie pool. Who would of thought that after just a 40min drive from Auckland central you could be in complete wilderness? Waitakere Ranges Regional Park is more than 16,000ha of rainforest, streams, waterfalls and beaches. Well-maintained bridges and boardwalks take you through the forest to sensational waterfalls, like the multiple-tiered Kitekite Falls and the fantastical Fairy Falls. You can reach Kitekite Falls by taking the Kitekite Track at the end of Glen Esk Road in Piha. To get to Fairy Falls it is a 45min walk from Scenic Drive. One of New Zealand’s most popular surf beaches, Piha, lies on the coast of Waitakere. The black sand beach has a reputation of “gnarly” waves, but they can also be rough so it is best to be an experienced surfer or go with a surf school. For more information, check out Waitakere Ranges – Guide for Backpackers. The district below Auckland Central is Manukau. Home of Auckland Airport, this is likely your landing airport when you first arrive into New Zealand. 70% of visitors land and/or leave from the airport, so around 12 million people pass through each year. With the huge international movement in the airport, it comes to no surprise that Manukau is known to be the most multicultural area of New Zealand with around 165 ethnicities. This is celebrated every third Sunday of the month with a Live Day at Howick Historical Village. Historical events are reenacted by costumed villagers. As well as different cultures, there are different plants in the Botanic Gardens. This is a nice place to take a stroll through different themed gardens. On the other end of the scale, there is the not-so-peaceful Rainbow’s End. The theme park has a selection of crazy rides like a corkscrew coaster, the Fear Fall and the Invader. Then there are your classic fairground rides, such as the dodgems and log flume. Auckland’s largest shopping centre, Sylvia Park, is also in Manukau. Shop to your heart’s content, go to the cinema, eat and get your supermarket shopping. Just north of Auckland Central is North Shore. It is a 10-minute getaway on the ferry from the downtown Ferry Building. A selection of beaches, walks and lookouts gives great views of the surrounding Auckland area. In fact, there is so much to say on North Shore, that we have done a whole different backpacker guide for the district: Auckland North Shore – Guide for Backpackers. Sip on some wine fresh from the vineyards in Matakana. Go to Pine Harbour in Manukau for a swim at the beach, a walk around the marina, then drinks with a harbour view. Get stuck into the arts scene of Papakura. Visit the Art Gallery Papakura, the Ernest Clarke Memorial Museum and Hawkins Theatre. Find more surf beaches in Waitakere, such as Bethells Beach with its lagoon and Karekare Beach is literally a movie backdrop in The Piano. Instagram photo opportunities lie at Wrights Water Gardens, especially with the flowers and waterfall backdrop. For more things to do, check out 10 Ways to Enjoy Summer in Auckland. Where to stay in the Auckland suburbs? 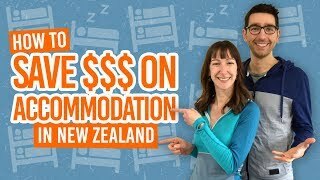 For more budget accommodation options, check out Accommodation Guide to Auckland Region and Where to Camp in Auckland.